Smarter Loans > What Is A Term Loan? Terms loans are commonly used by small businesses, and occasionally for personal use too. Lenders issue term loans for a specific amount with a set repayment schedule. For businesses, they provide money for specific, high-cost purchases which benefit them for a long period, and they offer repayment over time. This is important for new or expanding companies that want to increase profits, because it increases capital so they can grow or increase their supply. Businesses often use terms loans to buy equipment, technology, real estate, vehicles, site development, and installations. A business may also use a term loan to refinance an existing debt, for a business expansion, or for acquiring other companies. Term loan funds may also become working capital. Working capital helps a business cover operational costs such as payroll, rent, and other expenses while selling product and services and collecting money from customers. Mainstream banks tend to issue terms loans to established small business with sound finances and applying through a bank is usually very complicated, time-consuming, and rigid (Entrepreneur, Small Business Encyclopedia). Banks usually ask for a detailed business plan, financial statements, tax returns, a debt schedule, personal financial statements and resumes of the business owners, as well as financial projections and a credit check. If you’re buying assets, they need written assessments of value too. Your business may also need a sizable down payment to qualify for the loan, as it reduces risk by reducing the overall loan and payment amounts. Online micro-lenders also offer term loans and many rival bank rates and terms. They often use less stringent criteria for approval and have a quick application process. It may only take 20 minutes and a conversation with a consultant to get the ball rolling. Many lenders offer approval within hours and they have access to many products, even for those with bad credit. They’re well-versed in a variety of funding sources, including government loans and private lenders. Term loans vary with the needs of the customer. The length of the loan, or term, is usually between one and 10 years, but sometimes as long as 20 years. Short-term loans usually run less than three years. Long-term loans run beyond three years. Terms loans may have a fixed interest rate that stays the same for the duration of your loan, or a floating interest rate based on the Bank of Canada prime rate, plus a defined interest margin. Typically, floating interest rate loans cost less than fixed rate loans. Interest rates and terms available vary greatly between lenders. Compare lenders for the best possible rates and terms. Term loans usually include fees, either paid beforehand or tacked onto the loan balance. Payments intervals vary as well. Loans may have weekly, monthly, or quarterly installments that include the accrued interest on the loan, and a portion of the loan balance. A floating rate loan may also include a large balloon payment at the end of the term. Typically, fixed rate loans have level payments throughout the entire term. Term loans may also use the business’s assets as collateral. They can also include stipulations regarding how much debt a business can carry so the business does not over extend itself. Some term loans may require the business set aside a portion of their profits to repay the loan too. Short-term loans used for personal needs may also require collateral. 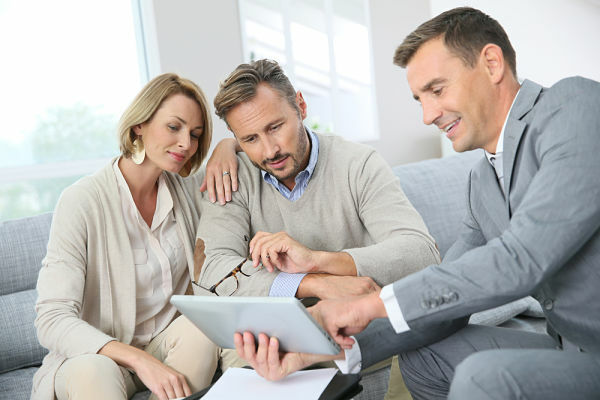 Personal loans normally includes a credit check, but when a client has little credit or poor credit, short-term loans with collateral can assist them. There are a multitude of reasons you may want or need a short-term loan. You may want to renovate your home, buy an RV or boat, consolidate your debt, borrow money for investments, or manage an unexpected expense. Once again, banks and online lenders offer personal loans, but the process is much simpler online than through mainstream lenders. Micro-lenders access many products and can often find products the big five banks do not offer. Even if you have little or no credit, you may qualify for a loan if you have a strong employment history and a steady income. You may also qualify for a loan if you have a co-signer with good credit willing to assist you. Secured or unsecured loans can provide you with funds you need so you can manage your finances wisely. Explore the possibilities and find a suitable product for your credit and financial position.